Akshay Kumar Reveals PADMAN posters with both Sonam and Radhika! Ahead of the launch of the much-anticipated trailer, Akshay Kumar has given fans around the world two brand new look at his upcoming film PADMAN which hits theaters on January 26th. 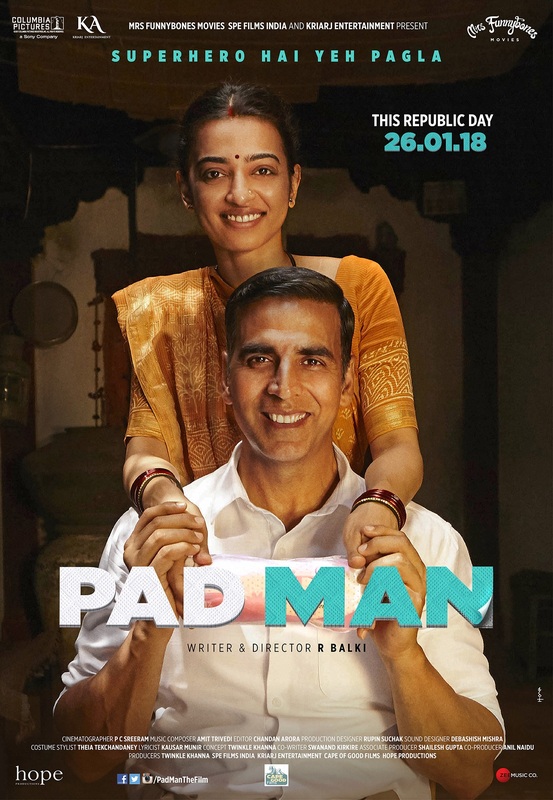 Billed as the most progressive family entertainer yet, PADMAN, directed by R. Balki is inspired by the life of Indian entrepreneur Arunachalam Muruganantham, who invented a low-cost sanitary pad-making machine and brought cost-effective female hygiene to India’s rural poor. Akshay tweeted the first motion poster, which features Sonam Kapoor.